All of the ZIS automobiles bore a very strong resemblance to American cars of the 1930's and they were the luxury limousines of the Soviet Union, reserved for officials and high ranking dignitories. The first ZIS, the model 101, had a 5.5 litre engine based on the Buick straight eight. It was connected to a three speed gearbox and the car had semi-eliptic suspension to all wheels. At the end of 1945, the ZIS model 110 was introduced with a 137bhp 8 cylinder side-valve engine. It had a top speed of 90 mph and a fuel consumption of 10 mpg. Power windows and fold-down occasional seats were fitted as standard. 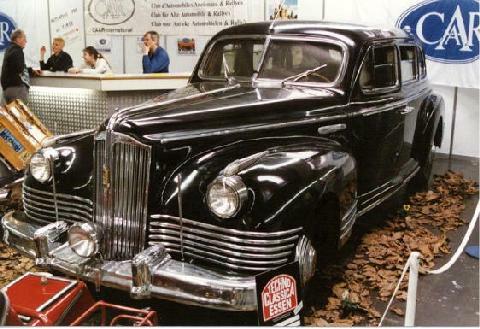 In appearance, it was virtually indistinguishable from the Packard, which was hardly surprising, because Packard dies were bought from Briggs of Detroit by a Russian trade delegation and modified for the 110. A few model 110 ambulances and touring cars were made. 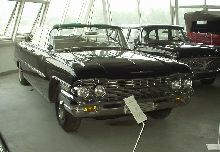 In 1956, the factory was re-named Zavod Imieni Lickacheve and the cars became ZIL's.